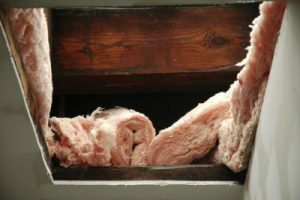 When Charlotte homeowners want fiberglass insulation service they can trust, the company they routinely turn to is 31-W Insulation. Since 1972, we have been the home insulation contractor of choice throughout the Southeast. Our cost-effective installation service has helped numerous customers improve the comfort and energy efficiency of their homes, so you can be confident that we have the expertise to do the same for you. At 31-W Insulation, we know that your time is valuable. Therefore, we make your experience with us straightforward and simple. Reaching out to us for home insulation service means that one of our trusted team members will assess the condition of your home’s insulation during a free consultation. If we find that your insulation needs to be replaced, you can be sure that the product we install will provide you with optimal insulation for many years as we offer options from the industry’s best brands, including Owens Corning® and CertainTeed. Our fiberglass insulation will also dampen exterior noises to give you more peace and quiet at home. If you’re interested in learning more about the many benefits of our fiberglass insulation service, contact 31-W Insulation today and schedule a free consultation at your Charlotte home.